Specialized makeup brushes are hot right now! You can buy unicorn makeup brushes, wizard wand brushes — there are even hints of a set of lightsaber makeup brushes being developed. 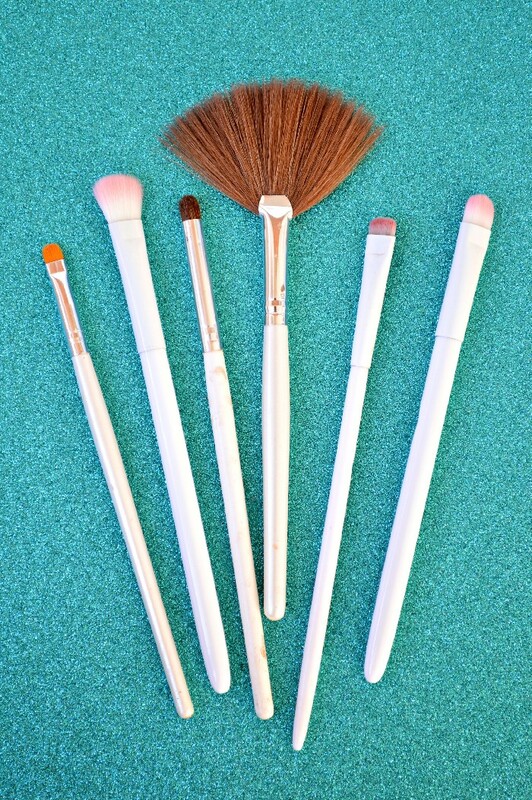 If you don’t have the money to drop on a set of new brushes, you can give your current brushes a fun mermaid makeup upgrade. 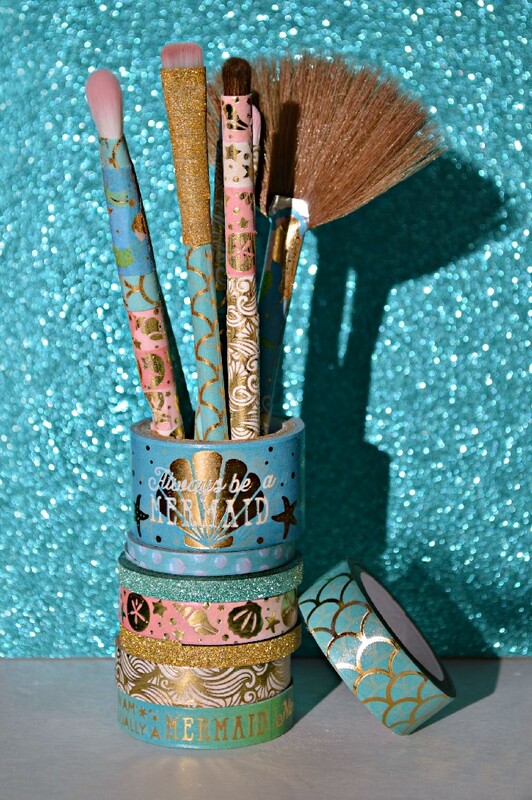 I chose mermaid washi tape to decorate my brushes, but you can use any patterns or style you would like. I have some nicer makeup brushes in my collection, but I have a handful of cheapo ELF and Wet and Wild brushes that work surprisingly well. 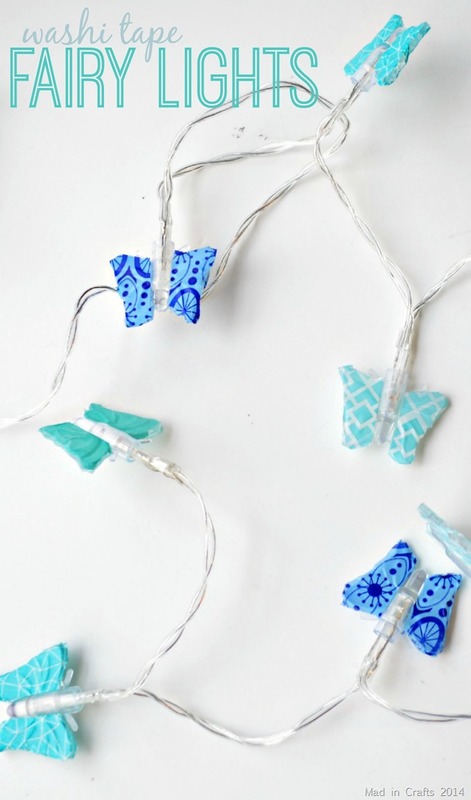 They are pretty plain Jane however, so I thought I would give them a mermaid makeover. 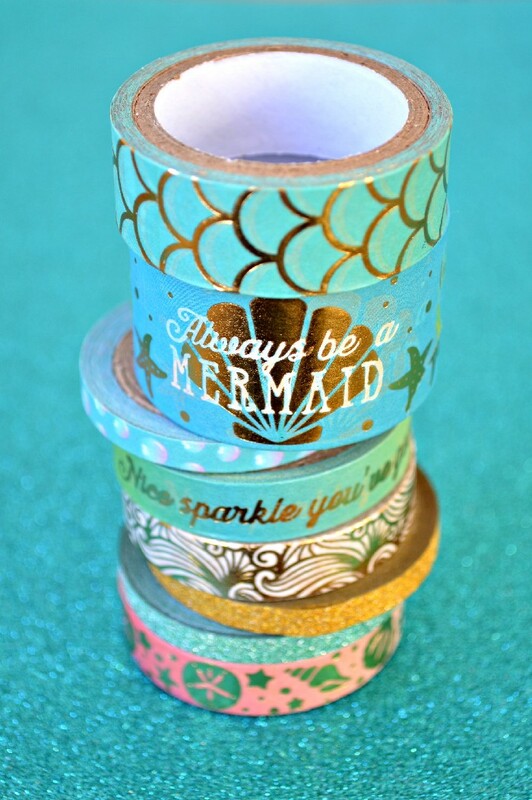 I found a multi-pack of mermaid themed washi tape at Michael’s and snapped it up IMMEDIATELY. The pack was $10 and I love every one of these tapes! I also spotted sets of junk food themed tapes, unicorn tapes, watercolor tapes… you can really customize your brushes however you would like. I spent a half hour or so wrapping the handle of each brush with washi and listening to a true crime podcast. (Sword and Scale is my new favorite, but I’ve had to turn several episodes off because they were too intense.) I experimented with wrapping the tape horizontally around the brushes and vertically down the length of the handle. Both ways worked fairly well. 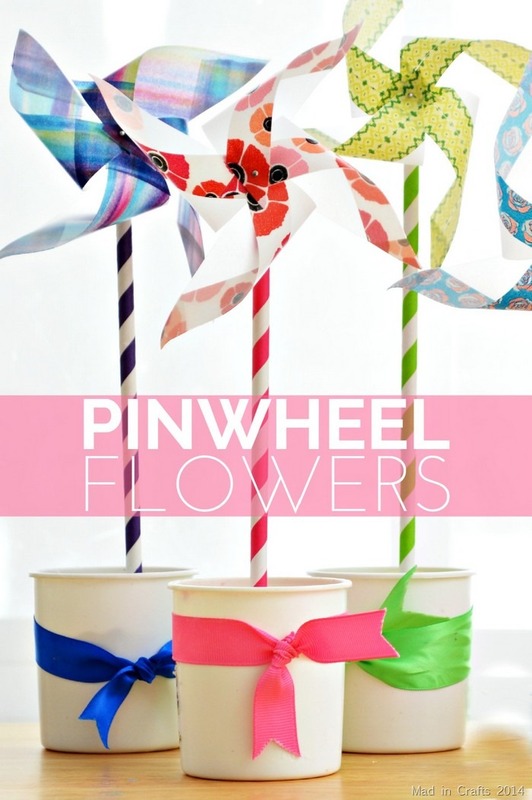 I wasn’t too concerned that the patterns of the tape match up, but I did try to avoid wrinkles wherever possible. 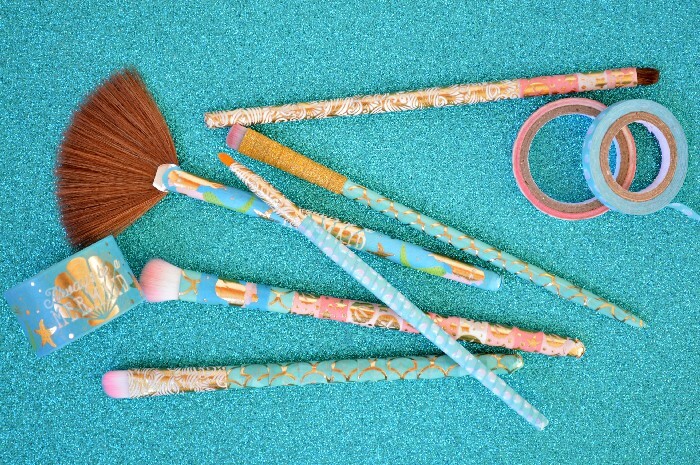 To make the pretty mermaid brushes protected from makeup (and water when I clean them). I applied a coat of dishwasher-safe Mod Podge. After this sealant cures, it has a totally waterproof finish. 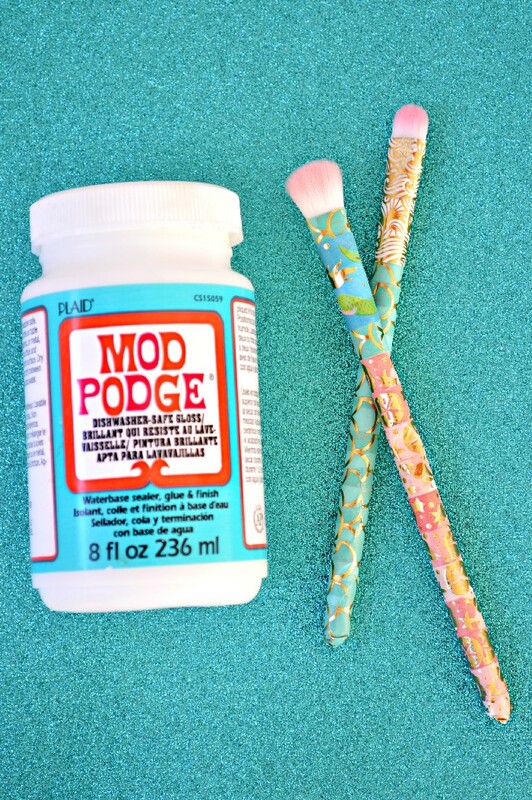 Just be careful not to get ANY of the Mod Podge on the bristles because it will ruin your brush. 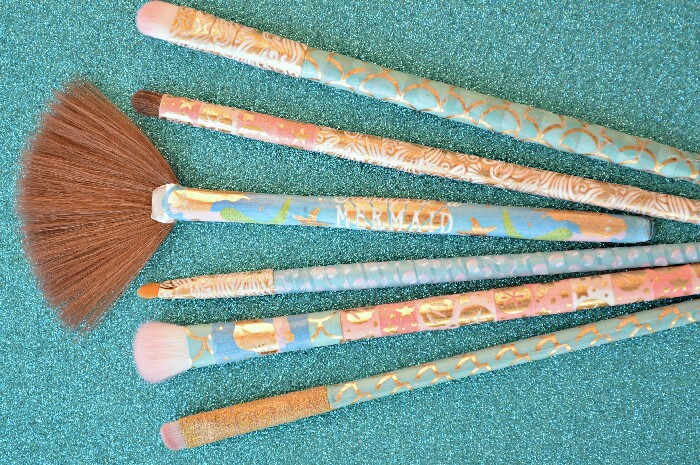 I love my new mermaid makeup brushes! The added sparkle makes me feel a little extra glamorous when I am getting ready in the morning. Well, on the days I put on makeup, which are fewer and fewer these days. 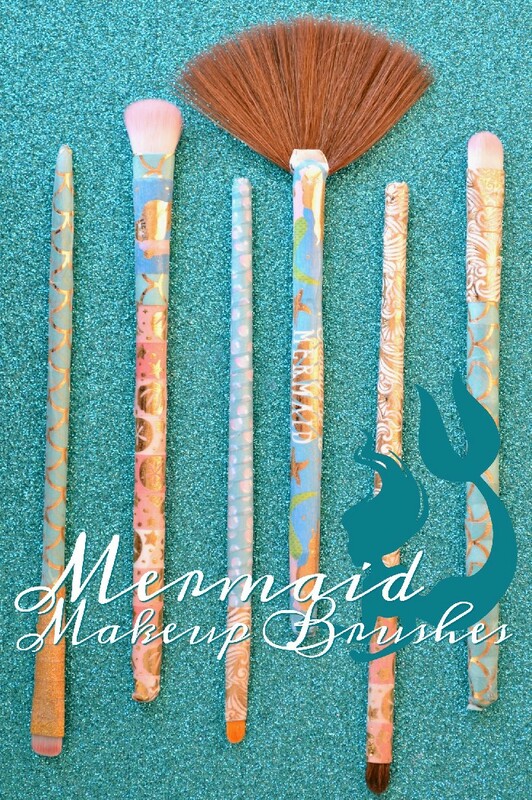 If you create your own set of mermaid makeup brushes, post on social media and tag @madincrafts so I can see them!